When it comes to makeup application, I've tried pretty much everything at one point or another- fingers, cosmetic wedges (sponges), imitation Beauty Blenders, and pretty much every type of brush. I tend to use a buffing brush most often, but I'm always open to something new. 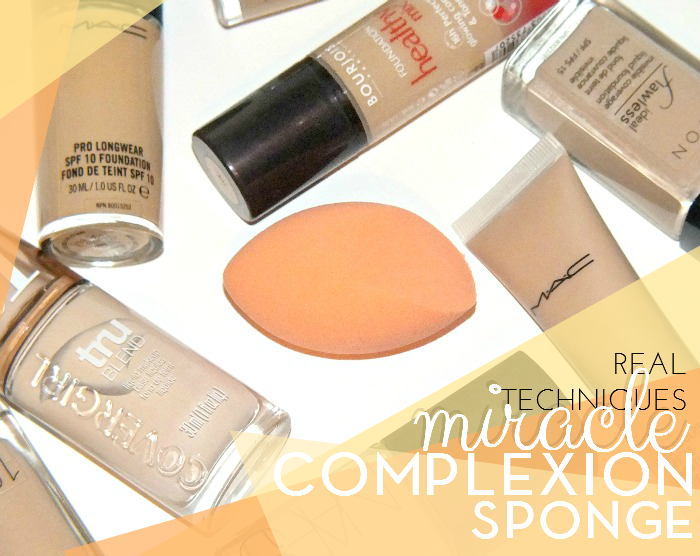 My most recent 'something new' comes in the form of the Real Techniques Miracle Complexion Sponge. The verdict? Well, for that you're just going to have to read on! When positive reviews of the Real Techniques Miracle Complexion Sponge started rolling in, I honestly wasn't all that excited about trying it. Now, don't get me wrong, I've been very happy with all of my other Real Techniques purchases, it's just that after having tried a Beauty Blender type product- okay a straight up knock off- and not liking it, I just assumed this wouldn't be for me. Of course, you should never assume, a lesson that turned out to be completely true, because I love this thing! It's really just a sponge, but it's been cut to allow you use the different areas for different types of base application. 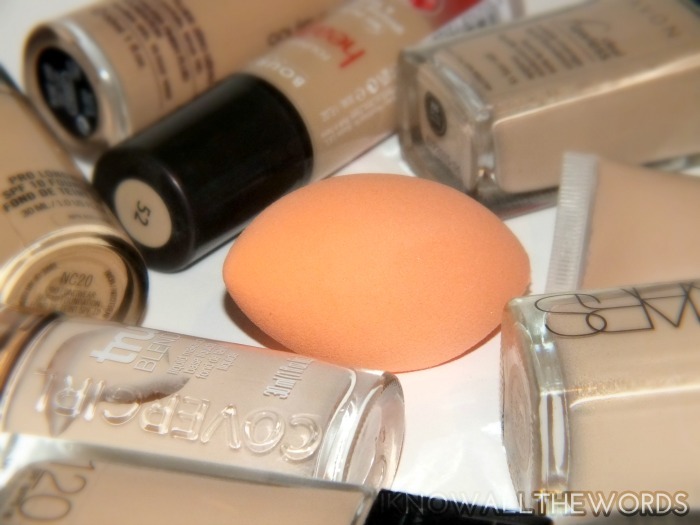 I tend to use the flat side for pretty much everything, and the more pointed tip to blend in concealer. Unlike the last sponge like this that I tried, this isn't too firm and pounces on skin quite nicely. You can use the sponge wet or dry, but I like to use it wet as it softens the look of foundation and gives a really natural, airbrushed look. 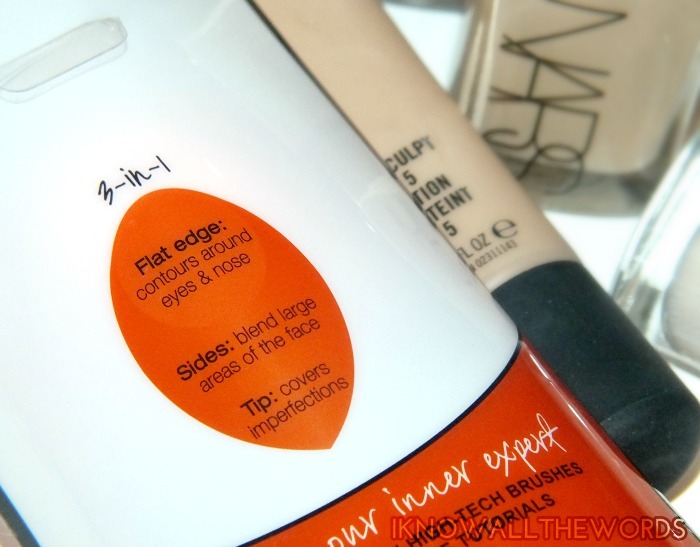 It does sheer some foundations a bit, but it's easy to go over areas you want a more coverage. 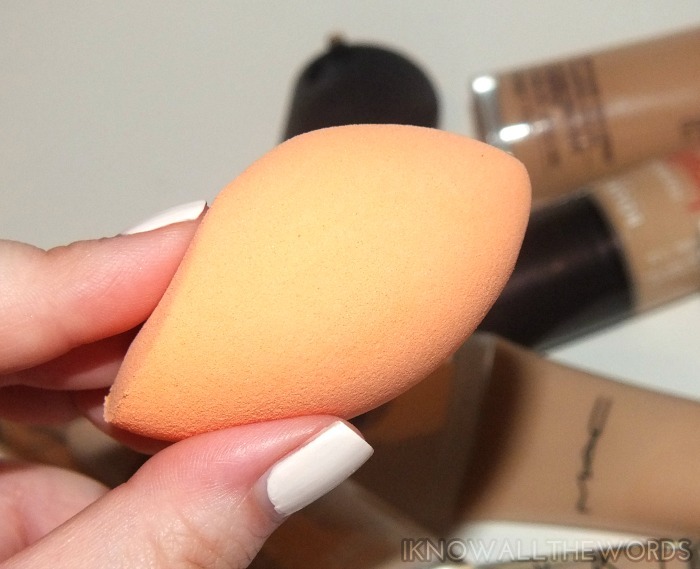 As mentioned, the sponge gives foundation an airbrushed look, as the sponge blends the product amazingly well making it look like your skin- not something sitting on top of your skin. 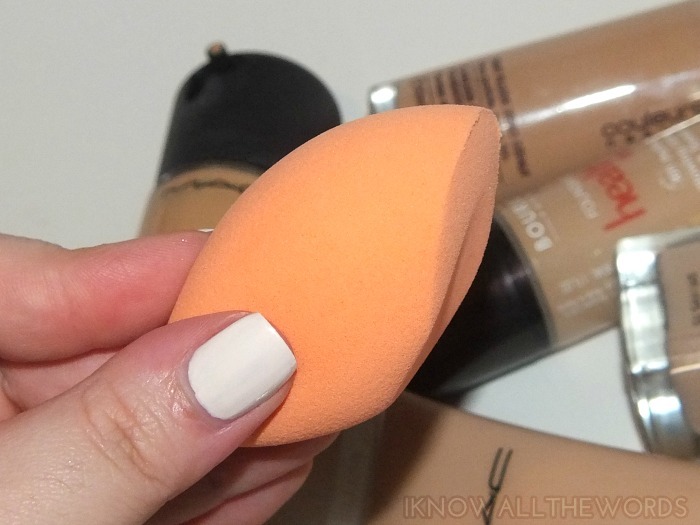 I find the sponge to was quite easily- I use a little bit of Bronner's (always almond) and the foundation comes right out without a lot of effort. They key is to only use a tiny amount of soap, or it will take forever to get it completely rinsed clean. I haven't noticed any staining yet, but I don't wear a very dark foundation shade, so that might not be your experience. I was quite pleased at how fast this dries too- after a good squeeze it only takes a few hours to completely dry. Overall, I'm a major fan of this! I haven been using my sponge for about a month, and so far haven't found any rips or tears in it, so it seems to be quite durable. I can't say how long one will last, but at about $5-10 it's not too bad if a new one needs to be picked up every few months. 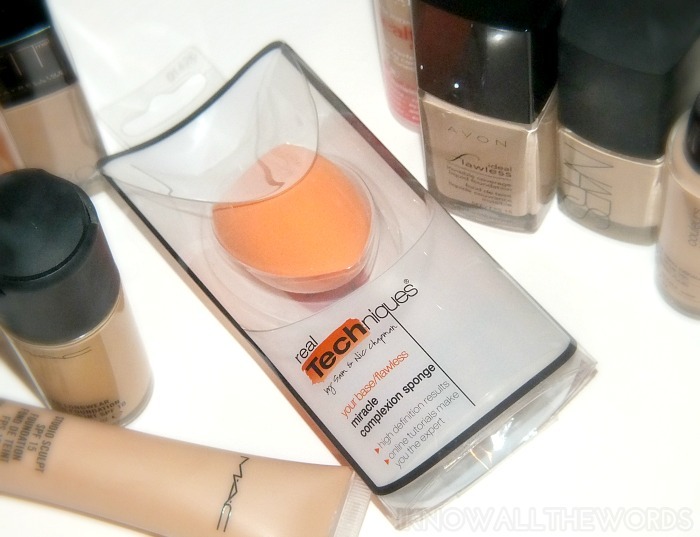 What you use to apply foundations/bases? Tried this? Thoughts? P.S any Canadians looking for Real Techniques online Farley Co. carries them!